Have no worries with the Obermeyer Jessi Ski Pant. Your young one will love the coziness of the contoured, fleece-lined waist and jean-style tricot-lined hand warmer pockets. HydroBlock® waterproofing and 60gm of EpicLoft™ insulation work together for a warm and dry experience. An adjustable interior waist with elastic and hook and loop tabs makes it easy to quickly adjust the fit. And reinforced seat, knees and inseams make for a durable construction that is sure to last. Get them out to play with the Obermeyer Jessi pant. Scuff guards provide protection from rough play. Hidden Control Zone Ventilation with mesh gussets make it easy to cool off when things get too warm. Water-resistant powder cuffs protect from deep snow and puddles. "Hi - what is the waterproofing and breathability rating of these ski pants? 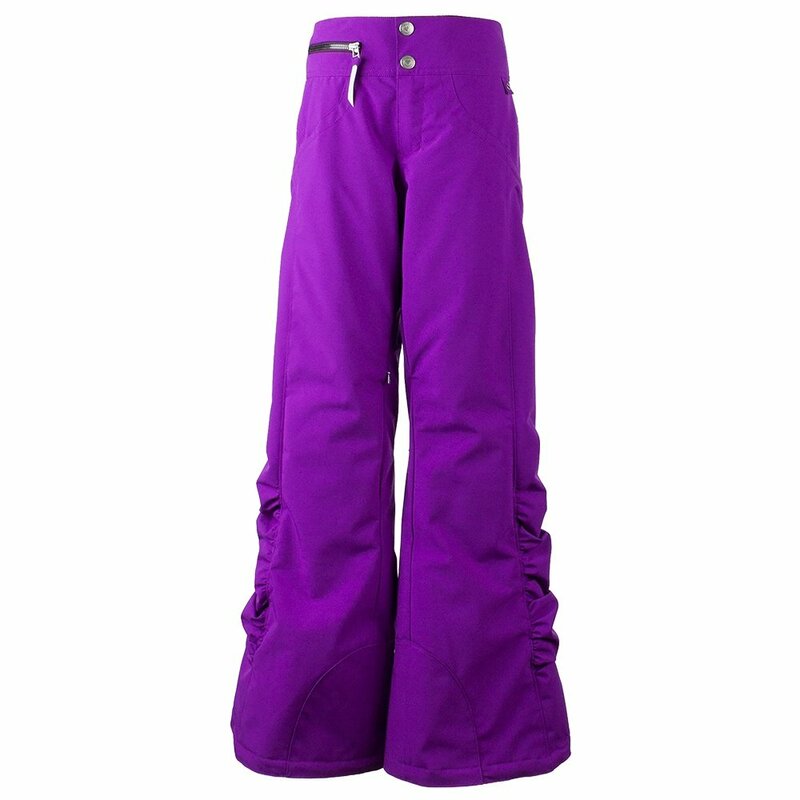 Also is the "violet vibe" colour the match to the Obermeyer Grey Ski Jacket i.e. Is the violet/purple on the pants the same as on the jacket which is white and violet/purple?" "Thank you for your inquiry regarding the girls Jessi Pant and Gray Jacket.The Jessi Pant Waterproof Breathability Rating is 15k/15k – Hydroblock Pro.The Gray Jacket in White – The large color panel on the back is Metal Magenta and the smaller accent stripes are Violet Vibe. We hope this information helps."